The Burke-Gaffney Observatory imaged NGC 4449 for me. 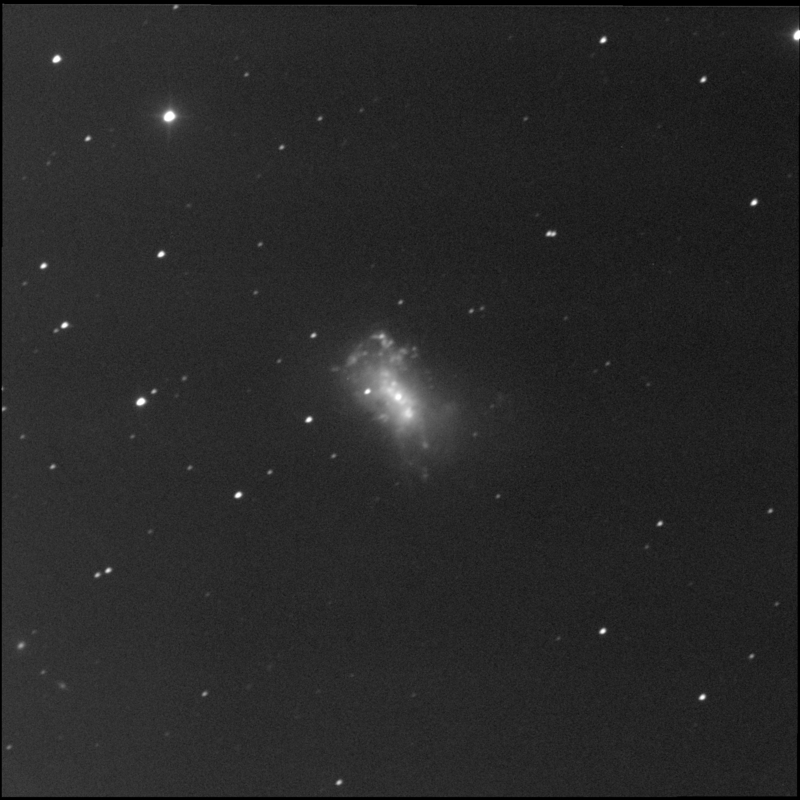 An irregular galaxy in Canes Venatici. Very cool. One of the RASC Finest NGCs. To the south-east, well away, near the bottom left of the frame, are two tiny faint fuzzies. Markarian 1475 is to the east while LEDA 2233323 is to the west. 1475 is an oval with a bright centre. The LEDA galaxy looks like an edge-on spiral. Possibly longer than 1475. Last viewed on 3 Jun '16.